Mark your calendars and reserve your tickets for an exciting night! General Admission Tickets ($25) can be purchased at the door using your credit card. Rocco Altobelli Fashion Awards (RAFA) is a presentation that showcases the work of stylists, colorists, make-up artists, and spa professionals who are part of the network of Rocco Altobelli Salons & DaySpas located in the Minneapolis/St. Paul metropolitan area. The goal of this highly competitive event is to create a total look for each model taking into consideration the texture of the hair, the model’s face and body shape, and current fashion trends. This annual event encourages teamwork, creativity, individual artistry, and a sense of fun and competition in all of the salons. 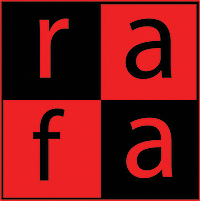 RAFA is meant to celebrate our staff, their talent, dedication, and creativity. We welcome cosmetology students, instructors, and the general public!